A Driving While Impaired (DWI) charge may be the single most important legal matter you will ever face. DWI is a SERIOUS charge with SERIOUS consequences. You need a lawyer who can provide you with a SERIOUS defense. If you are charged with a DWI in North Carolina, you may face serious penalties if convicted. These include jail time, fines and a suspended license. The penalties become more severe based on whether it is your first offense or a subsequent charge. North Carolina looks back seven years for previous charges. And if you’re under 21, any blood alcohol content makes it illegal to drive. Penalties range from just $200 in fines, 24 hours in jail and a suspended license for 60 for the first offense with no aggravating factors to up to two years in jail to permanent suspension of a license for multiple offenses with aggravating factors. North Carolina is a state with an implied consent law, which means that you automatically consent to a blood alcohol test by having a driver’s license. If you refuse, you can receive an automatic license suspension of one year. There is no lesser plea recognized in North Carolina for a DWI charge. That’s why it’s important to work with an experienced attorney who has handled numerous DWI cases like the Fanney Law Office, PLLC. DWI charges can be complicated by grossly aggravating factors as well as either aggravating or mitigating factors. Grossly aggravating factors include a prior DWI conviction or a DWI while license was suspended, as well as an accident that led to a serious injury of another person or having a child under 18 in the vehicle. Having an attorney present proof of these mitigating factors can help your case. That is why it is important to have proper representation before you go to court. Don’t go to court alone and try to represent yourself. An experienced attorney can plead your case more effectively. A DWI charge not only impacts your record, it also affects the other parts of your life. With a suspended license, you may have trouble getting to work, to school or to other places where you need to go. You may have trouble getting a new job because of lack of transportation as well as having an offense on your record. Your car insurance will most likely become more expensive and you may even be denied coverage if you have had multiple offenses. This makes it more difficult to be able to drive even after your license has been restored. Why Choose Fanney Law Office, PLLC? John K. Fanney has an outstanding reputation as an attorney with experience in DWI Offenses. He was honored as TOP LAWYER in Raleigh for DWI Defense in 2013 by BEST LAWYERS IN AMERICA™. He has been recognized by his peers as a SUPERLAWYER™ and one of the BEST LAWYERS IN AMERICA™ in DWI Defense. John K. Fanney is a Board Certified Specialist in State & Federal Criminal Law, and he understands that DWI cases that look difficult on paper often become defensible cases once the necessary investigation is conducted. When you hire Fanney Law Office, PLLC to handle your DWI case, they will conduct a thorough investigation and apply all of John’s knowledge and skill to prepare available defenses for you. Why you were stopped/Reasonable Suspicion: John will investigate whether the initial stop was warranted. The police must have a reason to believe you may be impaired before making a DWI stop. What tests you were told to do/Field Sobriety Tests: John has taken both the student and instructor courses in Standardized Field Sobriety Testing, the same training used by the police. He will analyze whether the tests in your case were administered properly. 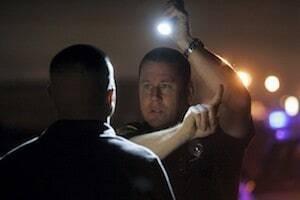 Why you were arrested/Probable Cause: John will review the available video of your stop, the officer’s report, and any other documents from the state. He will listen to you about what happened and assess whether there was probable cause for an arrest. Breath Tests: John has taken the same training that the police use in the operation and analysis of the breath test machines. He will evaluate whether your chemical test was administered and analyzed properly, and whether there are specific defenses to the breath test in your case. Blood Tests: John has training and experience in handling DWI cases in which blood tests were done by our State Lab or hospitals. This training includes an understanding of: sophisticated laboratory instruments and procedures used to determine blood alcohol concentrations; the presence of drugs in a blood sample; the limitations of these types of tests. These very complex cases require a lawyer who will force the State to comply with the complicated rules of procedure and evidence before it can use the results against you. Many lawyers claim they handle DWI cases, but few ever choose to take them to trial. John has over twenty years of experience trying DWI cases in North Carolina, and he is not afraid to take your case to trial, if that is what is in your best interest. The consequences of a DWI conviction will stay with you the rest of your life. You know what is at risk for you personally, whether it is career, finances, emotional well-being, or relationships. It is normal to feel out of control in this situation, but hiring the best lawyer is one thing you can control. Call Fanney Law Office, PLLC today at (919) 617-7009 and get the help you need to deal with this unfortunate situation in your life.